The work we do here matters and requires resources greater than those provided from tuition alone. The power of your philanthropy allows us to inspire futures and produce bold results. Dr. Searcy would like to invite you to join him as he travels across North Carolina and Virginia on the upcoming Being Bold – The Barton College Presidential Tour! Make a planned gift that will have a lasting impact on the students, faculty, and staff of Barton College. 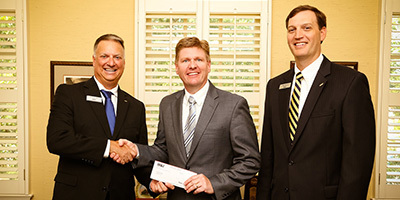 Barton College is proud to recognize the generous support of alumni and friends who strengthen the college with their gifts. Philanthropy has played a significant role in Barton’s successes since the College’s founding in 1902. Contributions from our most loyal supporters have provided the resources to help Barton become a leader in higher education. Find and reminisce with fellow graduates of Barton College/Atlantic Christian College. Introduce, employ and offer to act as a mentor to current Barton College students. Leverage your alumni community as a professional network to get introduced to people you should know. Advance your career by connecting with Barton/ACC grads that are working in top companies.